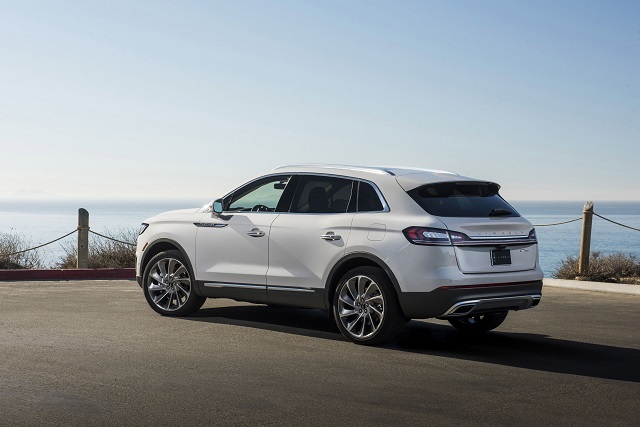 Three years after the launch of the second-generation MKX, we are about to see some big changes, far more intense compared to common mid-cycle refreshes. The new Lincoln Nautilus is coming. After more than a decade of use, this name is going to be replaced. The famous luxury carmaker is bringing back real names instead of those generic MK abbreviations. Besides the new name, this update will bring numerous other changes. The platform may be the same, but there is a completely new face of this mid-size crossover. Also, there is a brand-new base engine in the offer. All these changes are coming only three years after the launch of the second generation. The new-named model drops MK philosophy in pretty much all aspects. Still, some things are going to remain the same, like the interior design for example. The 2019 Nautilus already had a premiere and should come soon. The 2019 Lincoln Nautilus is maybe not a completely new model, but it comes with some significant changes in terms of design. Compared to the outgoing MKX, it keeps the same platform. Even the overall shape is pretty much the same. Still, it comes with a completely new face, which clearly indicates the directions of the brand’s future design language. The old and a little bit funny split grille has been replaced with a completely new, rectangular grille with a large Lincoln star emblem. Basically, there is a design language pretty similar to the new Navigator. However, the interior design remains pretty much the same. We presume that the new bold interior layout will come with the next generation. Until then, the current dashboard design remains. On the other side, there is a whole bunch of new equipment. 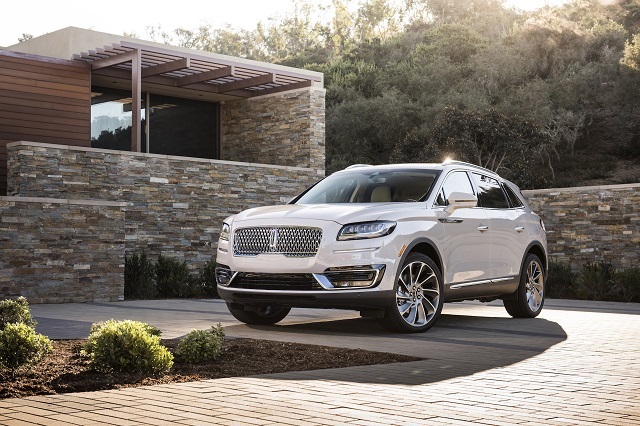 The 2019 Lincoln Nautilus is coming with plenty of new things. One of the most interesting novelties is a new Ultra Comfort seat design, introduced in new Navigator and Continental. This seat offers great lumbar support, as well as 22 adjustments. There is also a new version of the Ford’s Sync3 infotainment system, which comes with a large 12.3-inch touchscreen. A sound system has been updated too. 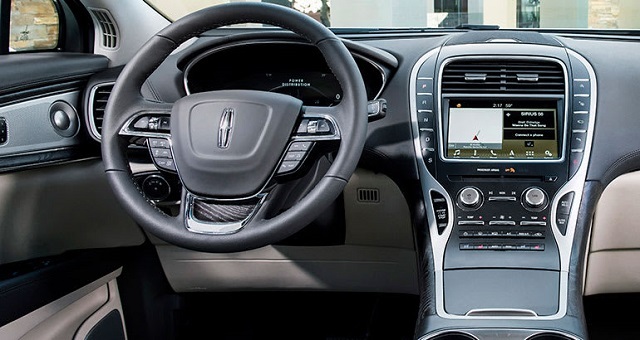 The 2019 Lincoln Nautilus offers a choice between 13- and 19-speaker sound systems of renowned manufacturer Revel. A wireless charging, as well as the newest smartphone integration, is also in the offer. Besides new features, the base trim level organization remains the same. Still, each trim should get some new standard features. The big novelty of this update is a new engine. So far, this crossover was available with two V6 units. From the next year, a large and old 3.7-liter is going to be replaced. A new standard engine is s 2.0-liter inline-four unit which is far more efficient. It delivers around 245 horsepower. Still, a 2.7-liter V6 seems like the best choice for this crossover. This highly-efficient unit delivers around 335 horsepower and amazing 380 pound-feet of torque. Another great novelty is a new transmission. A new 8-speed automatic replaces the old 6-speed automatic gearbox. 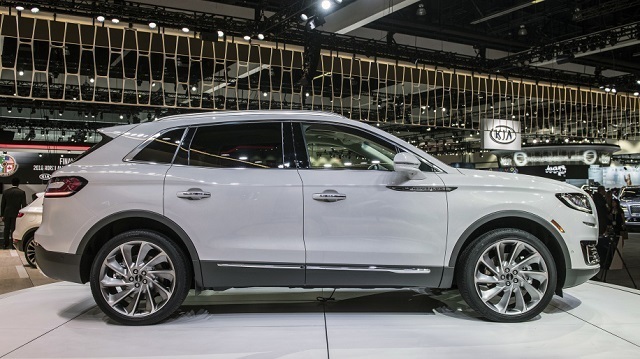 We are expecting 2019 Lincoln Nautilus to hit the market in the second half of the year. Still, we are waiting for a more precise date. When it comes to the price, the new model will probably feature a slightly higher price compared to the outgoing MKX, which costs around 40.000 dollars in the base version. This segment is full of amazing crossovers. This model will be one of those cheaper alternatives. Still, a competition will be tough. There are models like Buick Enclave, Infiniti QX60, Acura MDX etc.